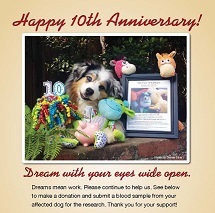 On our 10th Anniversary, A Special Shout Out to all our Volunteers and Donors! We could not keep moving forward to help stop this terrible disease without your continued support! A Big Thanks to all our facebook fans for spreading the word about canine epilepsy. Please help us reach 2,000 fan base before our next anniversary. You are all deeply appreciated! Thank you! 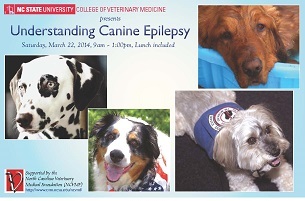 Epilepsy is one of the most common neurological diseases affecting dogs. In keeping with our commitment to stopping this disease and improving the quality of life for dogs suffering from epilepsy, Toby's Foundation will give $10,000 to support the AKC Canine Health Foundation’s Epilepsy Research Initiative. 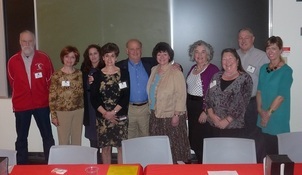 L-R: Speakers: Willard Moore (Molly’s Fund), Pamela Douglas (Toby’s Foundation), Alisa Arnoff (Epil-K-9 list) Dr. Karen Munana, Professor of Neurology and (3rd from rt.) Julie Nettifee-Osborne, (Neurology) and (1st from rt.) Allison Crouch, (NCSU-CVM) with Owners Panel discussion members. 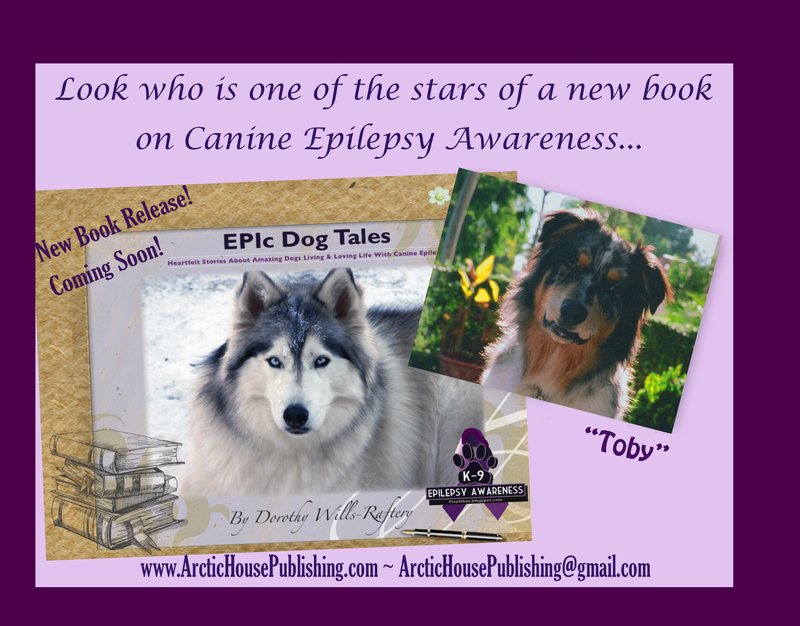 A new book featuring epileptic dogs and their stories and resources for canine epilepsy is due out soon. Please see the book poster with Toby and contact arctichousepublishing@gmail.com if you would like more information or to purchase the book. A portion of the proceeds of this book will be donated by the author to the Epil-K9-Foundation.